Virginia Richardson is the Founder of Life Edit and based in Nashville, TN. After completing undergrad, Virginia spent time in London taking courses in Holistic Nutrition at the University of Westminster School of Integrated Health. When she returned home to The South, Virginia put her love for nutrition aside and became a Sales Executive for a financial firm, where she managed top-level clients for 10 years. After she and her husband welcomed the birth of their daughter, Lilah, Virginia began to reevaluate her life path. By the end of 2014, Virginia had left her corporate job to become a certified end-of-life doula. Her time caring for people nearing the end of life was a wake up call to the importance of editing our lives so we can prioritize what matters most. In the process of editing her own life, Virginia discovered a passion for helping other people edit and find theirs. In 2017, Virginia completed her nutrition certification with the goal of creating manageable meal plans for each individual and their unique lifestyle. Through her health, home, and closet editing services, she’s now able to help others clear their own paths to experiencing deeper joy and fulfillment right where they are. We live in a world of abundance — abundant opportunities, food, fashion, decor, and beauty. 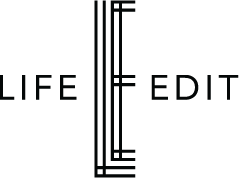 At Life Edit, we believe you can have it all (a successful career, meaningful relationships, personalized style and more), but only when you intentionally edit your life. When we’re juggling crazy schedules, an infinite amount of choices, and a house full of clutter, it’s easy to get overwhelmed and stuck. We end up making compromising decisions that keep us from moving toward what we really want. Thankfully, it doesn’t have to stay that way. 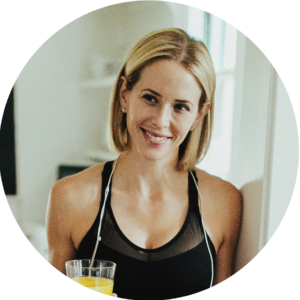 At Life Edit, we teach you how to edit and overcome your most frustrating obstacles, whether that’s helping you declutter your home or closet, or providing you with a meal plan to transform your energy levels and overall health. By teaching you how to edit and overcome your most frustrating obstacles, you’ll discover your own pathway toward a more joy-filled and abundant life. To learn more about our triad of Life Edit services (health, home, and closet), click here.